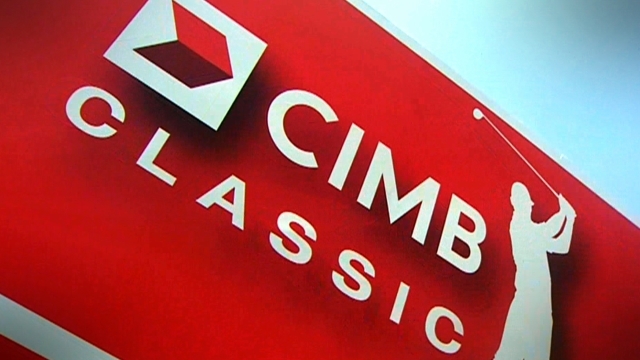 The CIMB Classic is a co-sanctioned event which features just 78 players and is played in Malaysia. The field is a relatively strong one that features Sergio Garcia who heads the betting, Fedex cup winner Billy Horschel who missed the cut in his last outing and Patrick Reed who excelled for team USA during the Ryder Cup. Last years CIMB Classic winner was Ryan Moore who also features this week, the American shot 14 under to win thanks to an opening round of 63. The CIMB Classic can certainly be a profitable event with the bookies offering five places each way despite there only be 78 players in the field. Kuala Lumpur golf course hosted last years CIMB Classic as well as hosting the Malaysian Open for the last four years therefore it’s a course we know well. Length is not essential as Ryan Moore proved last year although it’s preferable. Three of the four par 5’s are easily reachable in two and it’s essential to make birdies on these holes if you are to stand of chance of winning in Malaysia this week. I’ll be looking to target those players who are very good from tee to green as they go well around this track historically. Also the professionals that are capable of shooting low scores have an advantage as it’s an easy course, Lee Westwood shot 18 under around this course to win the Malaysian Open in April. Kevin Streelman – I priced Kevin Streelman at 33/1 this week therefore I’m happy to take the 45/1 on offer by StanJames. Streelman is one of the better players in this field which isn’t particularly a strong one, he’s a two time PGA Tour winner that’s really come on as a player over the past couple of years. In his latest event Kevin finished in 2nd position hitting an impressive 83.33% of greens in regulation, he shot a superb 18 under par during his final 54 holes which shows how well he played. The American played in this event last season and finished in 53rd position admittedly this is poor but it is an advantage that he’s played competition golf around Kuala Lumpur golf course. His game should suit the course, he’s a very good driver of the ball which is important and he’s capable of shooting low as he proved in the Shriners Hospitals for Children Open. Ryo Ishikawa – Ryo was tipped for big things at such a young age and admittedly he struggled to live up to expectations. This season he’s made a promising start finishing 19th in the Frys.com Open and 28th in the Shriners Hospitals for Childrens Open which suggests he’s playing well. In Vegas he hit 83.33% of greens in regulation but was unable to get his putter going, this does show he’s playing well from tee to green, he just needs a good week with his putter. This course should suit Ishikawa, the par 5’s are comfortably in reach and the fairways are generous. A low score is expected to be needed to win and Ryo is capable of making the birdies needed, he was ranked 10th on the PGA Tour last season in terms of birdie average. Finally as Ishikawa is one of the better players from Asia he’s likely to get a lot of support from the crowd, hopefully this’ll spur him on. Marc Leishman – I was pleasantly surprised to see Marc Leishman priced at 66/1 to win this week. The Aussie recorded his first and only PGA Tour win in 2012 and came close to winning on a number of occasions last season. Marc finished 4th in The Masters and 12th in The PGA Championship in 2013 and earlier this year he finished 5th in The Open Championship, these results show what a quality player Marc is. Leishman didn’t play great in his first start of the season but it can be difficult to get back into things after some time off. Length off the tee is advantageous around Kuala Lumpur Golf Course and Leishman is long averaging 297.6 yards with his driver last season. He did shoot a 2nd round of 65 in this event last year which does suggest he’s capable of performing well around this track despite going onto finish in 44th position.